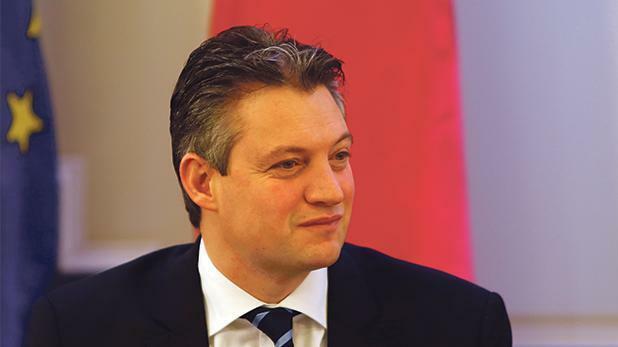 Former Opposition leader Simon Busuttil has stood by his accusations of corruption against Konrad Mizzi as the minister dropped libel cases against the Nationalist MP as well as other MPs and Times of Malta. "Bottom line: when I said that Konrad Mizzi is corrupt, I was damn right," Dr Busuttil said in a tweet on Thursday. Dr Mizzi on Wednesday said he would be withdrawing several libel cases relating to allegations of money laundering in connection with the Panama Papers revelations. The minister said that he had decided to withdraw the suits after the courts had ruled against Dr Busuttil and MEP David Casa in January, finding that there were no grounds to launch an inquiry related to Panama Papers revelations. “While some defendants might rejoice to know they would not have to shoulder a monetary cost for their lies, it should also be clear to them that they had already lost their political credibility,” the minister said in a statement issued through the Department of Information. Dr Mizzi’s withdrawal comes just four weeks before Nexia BT partner Karl Cini was due to testify about emails relating to mystery Dubai company 17 Black. An email sent by Mr Cini indicated the company as one of the target clients of Dr Mizzi’s own secret Panama company, which he set up when he was Energy Minister. The email informed Mossack Fonseca in Panama that 17 Black would pay up to $2 million to offshore companies owned by the Prime Minister's chief of staff Keith Schembri and Dr Mizzi. A joint investigation by Times of Malta and Reuters revealed that 17 Black is owned by Electrogas power station director Yorgen Fenech. Dr Mizzi has denied any links to the Dubai company, most recently when being cross-examined as part of the libel proceededings on January 10. In his statement, Dr Mizzi slammed Dr Busuttil’s “mud-slinging”, saying the courts had confirmed that his allegations were nothing but conjecture. Pushing forward with the legal suits, he said, would serve no further purpose since the courts had already discredited the claims. Dr Busuttil had sought a magisterial inquiry into Dr Mizzi and others in July 2017. Magistrate Ian Farrugia had found that there was enough reason to justify an inquiry, but appeals had been immediately filed against that decision by Prime Minister Joseph Muscat, Tourism Minister Konrad Mizzi, OPM chief of Staff Keith Schembri, Nexia BT’s Brian Tonna and Karl Cini, and businessmen Malcolm Scerri and Adrian Hillman. Those appeals were successful, with an appeals court ruling last month that there were no grounds to launch an inquiry and saying Dr Busuttil had failed to present evidence to back his claims. Dr Busuttil and Mr Casa had subsequently sought to re-launch a separate legal bid to place Dr Mizzi under investigation, but that attempt had also faltered, with magistrate Francesco Depasquale dismissing the second request and declaring there was no uncertainty in the prevailing legal situation.